Here’s a selection of project highlights. GenKey’s technology was used to deliver the world’s first biometric voter verification. 4 million healthcare members registered, and growing. 230 million biometric identities de-duplicated by GenKey’s ABIS. Through GenKey’s real-time deduplication system, we have prevented multiple registrations and built a clean, digital member database. The issuance of membership cards at point of registration or renewal has helped us eliminate challenges and costs associated with the distribution of subscriber cards. In addition, biometric authentication at healthcare providers is also preventing the submission of false claims and cutting down claims costs. To date, we’re registered over 7.5 million people. 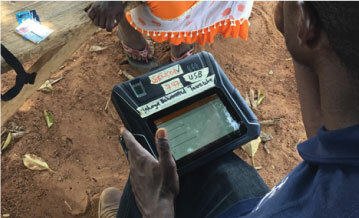 With partners, GenKey’s products have been successfully deployed in Elections in Ghana, Cameroon, Mozambique and Tanzania. 72,000 Biometric Verifications Devices (BVDs) issued for Election Day. It takes just 7 minutes on average to register a new health member, including card issuance. 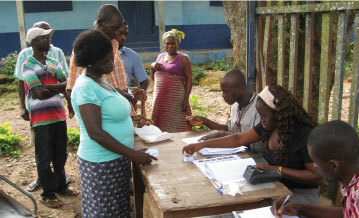 GenKey issued 380 mobile registration kits to reach some of the most isolated parts of Ghana. To date, our products and technology has helped to process over a hundred million identities. A historic election, which witnessed progressive reforms with the use of a biometric voter’s register and biometric verification for voting which has been acclaimed by both domestic and international observers as free, fair and transparent. 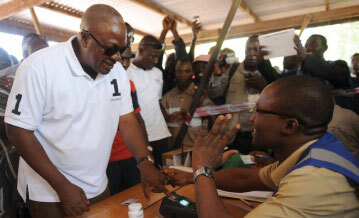 President John Dramani Mahama verifying his identity on Election Day. GenKey’s products biometrically registered citizens prior to Election Day. GenKey’s deduplication system prevented multiple registrations and identified bad enumeration practices that would have compromised the accuracy of the data.